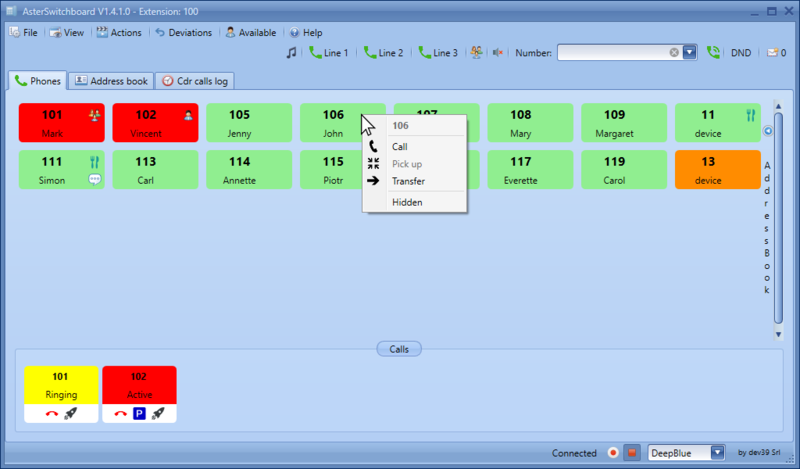 AsterSwitchboard is an operator panel for Asterisk PBX running on MS Windows clients. 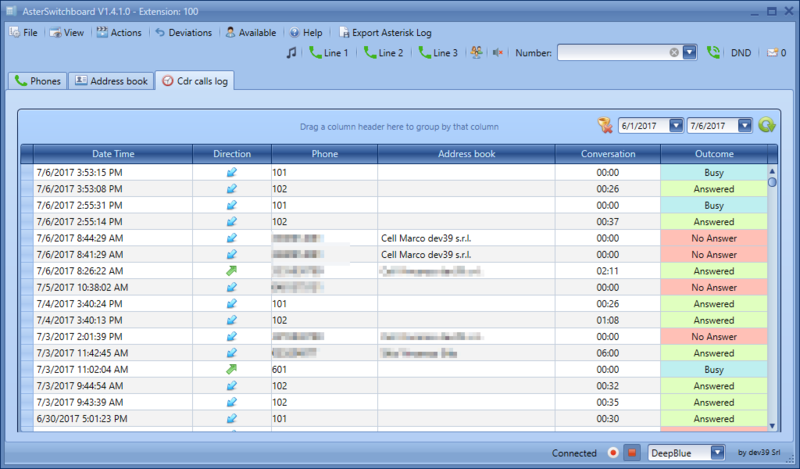 Call, answer, transfer, view the status of all connected extensions, intercept a call for another extension, display name and number of incoming calls, make a call directly from the integrated list of contacts or from the log and much more... Everything in just one click. An intuitive interface, with all the main features available with a simple click. With just a few simple steps, you will be ready to use AsterSwitchboard. Asterisk versions 11 or higher. After installation, you will have a 30-day free trial of the Pro version. No need for specific knowledge or experience. A small price for a great time and hardware costs saving. 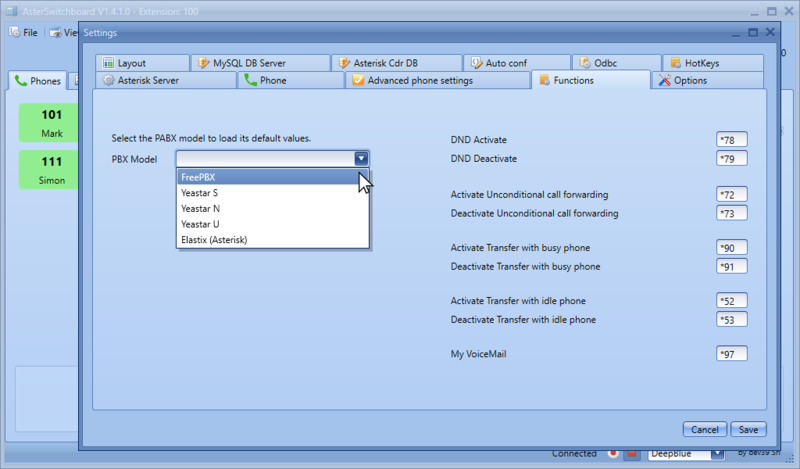 AsterSwitchboard allows the switchboard operators to have complete real-time, directly on their PC, control of the status of all the extensions in Asterisk PBX. 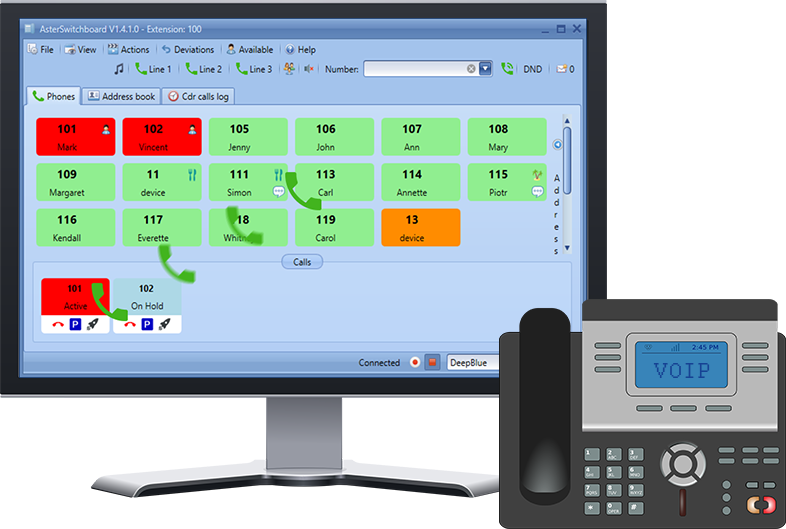 It also allows them to manage all incoming and outgoing calls with just a simple click or with drag and drop, optimizing the efficiency of communications activities. Ease to learn, use and install. Thanks to AsterSwitchboard any workstation in your company will have all the capabilities that traditionally had only the switchboard operator desk. For a very low cost.